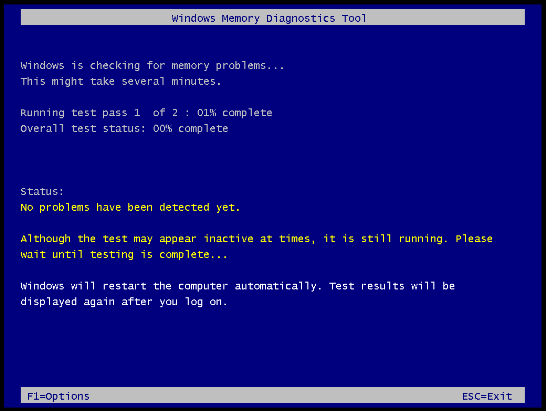 If you are an overclocker, or are just suspecting a memory problem with your computer, you should probably run some memory tests. Rather than spending money, you can use the free tool included in Windows Vista. 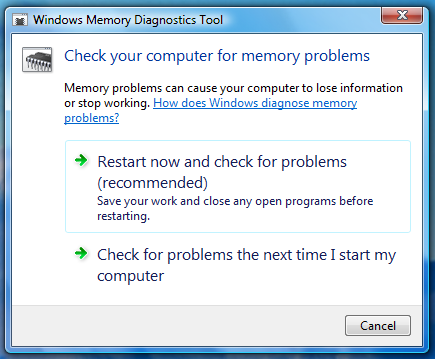 Type in memory into the start menu, and you should see the first option will say Memory Diagnostics Tool. Getting to it is a little strange, though, if you only have Vista installed on the machine. 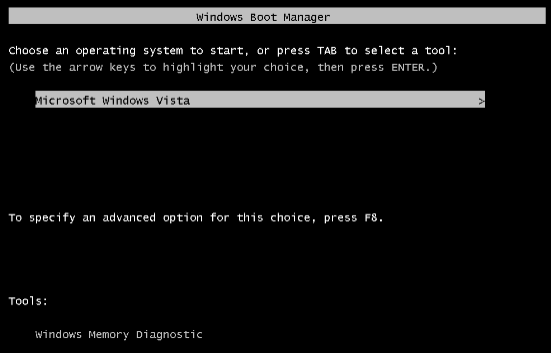 You’ll have to hold down F8 for the boot menu, and then hit Esc to get to the screen above.